Plainville — A troubled golf course has a set of new owners who have big plans for the facility. 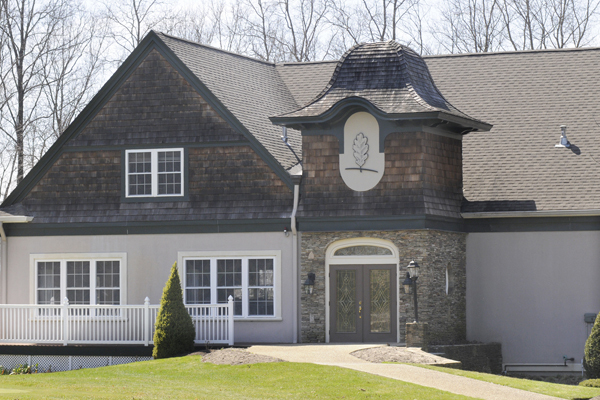 Constant Poholek, along with his sister Karen Finocchi and brother-in-law Elmo Finocchi of the Heather Hill Country Club in Plainville, are the new owners of Wentworth Hills Country Club in town, Poholek confirmed in an email and a phone interview Saturday with The Sun Chronicle. The family, which has more than 30 years’ experience in the golf business, were the successful bidders at an auction Friday and were able to purchase the 18-hole golf course, located at 27 Bow St., for $2.1 million. “We hope to breathe new life into Wentworth Hills,” said an excited Poholek Saturday night. “This is a dream come true,” he said. With Wentworth Hills combined with Heather Hill, Poholek said he hopes to put Plainville on the map to become known for golf, “now that we have two great courses in one area,” he said. In the short term, Poholek said he plans to immediately improve Wentworth Hills’ driving range and start a golf school. He also plans on adding a new fleet of modernized golf carts. And the new computerized system that was recently put in place at Heather Hill will be added to Wentworth Hills he said. The purchase and bidding weren’t easy, as his group was one of 7-10 bidders that attended Friday’s auction to buy the country club, Poholek said. He said his goal was to try to keep the facility locally owned, and operating as a golf course. One bidder, he said, wanted to turn the course into an apple orchard. He said he is thrilled that his $2.1 million bid was the winning bid for the 143-acre course located at 27 Bow St. The course has been in financial trouble for years. It went bankrupt and was auctioned in 2006 for $3.7 million and then closed down again due to debt problems before reopening in 2011. It is a par-71 golf course, which is partially located in Plainville, Cumberland, and Wrentham. For long-range plans, Poholek said he hopes to make the facility, a full family-friendly golf course. He said he wants to hold events where the whole family comes for the day. He said the facility also has a number of buildings, one of which can be converted for year round use, for, indoor golf. And, as he looks 5-10 years down the road, he has more plans in the works, he said. Visit Wentworth Hills Country Club Online.